A recent white paper, Schneider Electric looks the relationship between asset maintenance and energy costs in pumping. Assets such as pumps need maintaining on an ongoing basis, and maintenance costs are 25% of TCO. Thus maintenance practices warrant examination of their contribution to energy-influenced savings. In pumping installations, many moving parts mean that proper maintenance of motors. This menas the maintenance of drives, pumps, and associated pipes is also crucial. Many steps are available to minimise maintenance costs and maintain stable system integrity. Pump efficiency varies according its operational parameters. 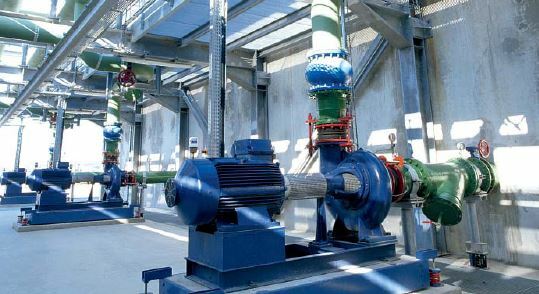 Optimal pump operation is at the BEP, but 75% of the pumping systems are oversized by around 30%. Thus, pumps begin to waste significant efficiency when appropriate maintenance is neglected. Operating away from the BEP decreases efficiency and accelerates wear, thereby reducing reliability. Monitoring the operating point of the pump and its efficiency provides diagnostics. This that can help predict when potential system problems will occur. Variable speed drives can help to keep the operating point close to the BEP. They also protect the pump against destructive forces generated by inefficiencies. Several approaches are available to address maintenance in a cost-effective manner.Preventative maintenance is based on time rather than use. Corrective maintenance is a response to an unanticipated problem or emergency. However, condition-based maintenance is the most cost-effective approach, monitoring system data on an ongoing basis. It also provides an accurate assessment of the health or status of devices, and systems. Finally, it detects efficiency loss by monitoring pump variables like pressures, speed and flow. Identification of problems is possible by combining the efficiency trends and process variables. Using best practices, it is possible to reduce TCO of a pumping system by 20% using best practice. This requires monitoring energy efficiency management, asset management, and energy cost management. VSDs with embedded energy management are a major contributor in achieving TCO targets. They integrate the many steps taken to put in place an effective energy management plan. As mentioned they include using energy efficient technologies, condition-based maintenance practices.